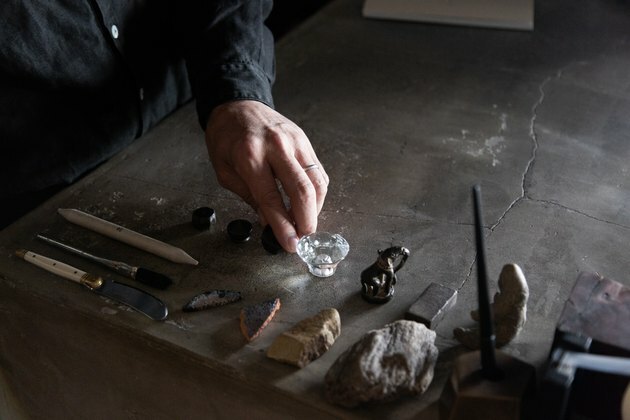 Kazuto Kobayashi approaches retail with a curator's eye, with one main focus: finding the next one-of-a-kind item to delight his customers. 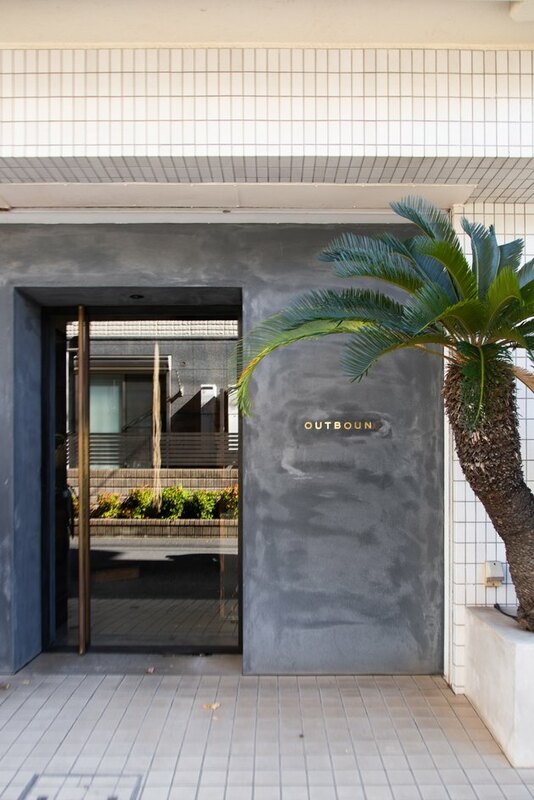 Outbound, his store located in Kichijoji (a neighborhood in Tokyo), offers an array of unique pieces that Kobayashi personally selects. 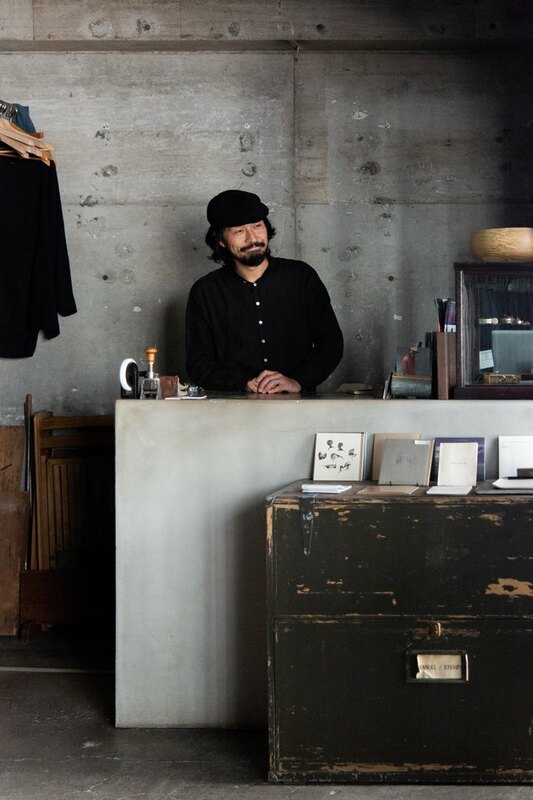 Kobayashi is also the owner of the beloved shop Roundabout, which opened in 1999 in Kichijoji and moved to Yoyogi Uehara in 2016. 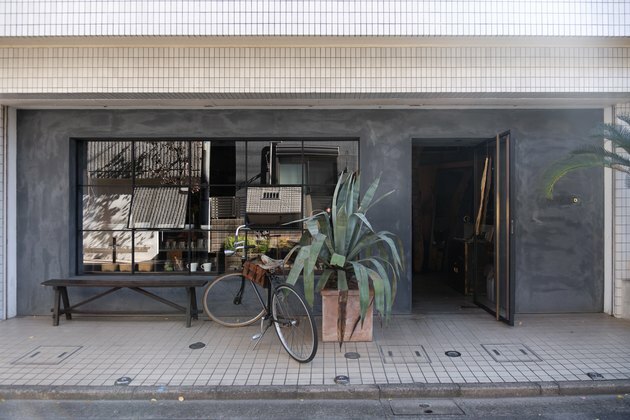 "I liked the quiet environment, a little away from the bustle of Kichijoji," says Kobayashi. In 2008, he opened Outbound. When he found the location for Outbound, it was far from the modern shop it is today. "It was originally a skeleton," he says. "There was neither an outer wall nor a window." Kobayashi hired Kenichiro Niizeki of Niizeki Studio to renovate the space. To get on the same page aesthetically, Kobayashi gave Niizeki some images for inspiration, including photos of an installation by Joseph Beuys called Block Beuys, Georgia O'Keeffe's house, as well as several paintings by Andrew Wyeth. Niizeki translated the mood board into a space that makes shoppers feel like they're stepping into a gallery rather than a store. 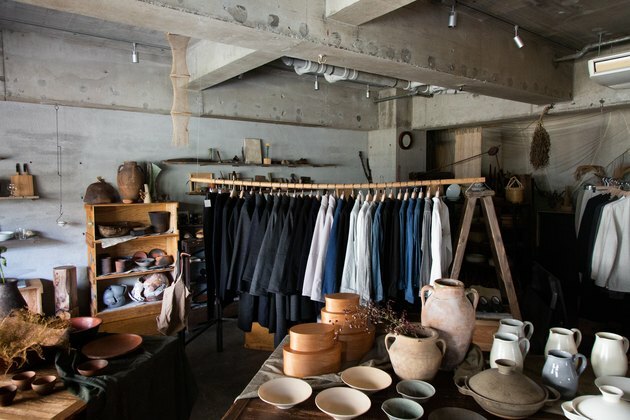 The space itself has an industrial vibe, with concrete walls and exposed pipes, contrasting with the delicate, handmade wares, which include everything from clothes to ceramics. 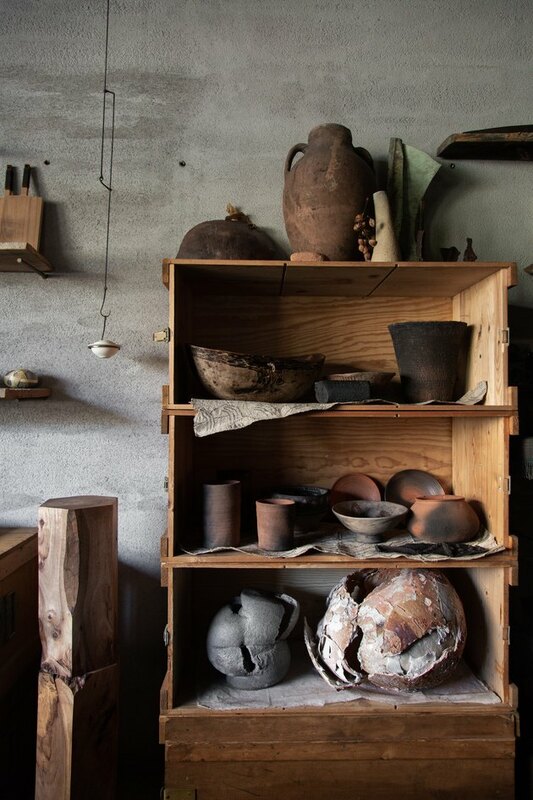 While many of the items, such as dishes and clothes, are functional, Kobayashi also sells objects that are made to inspire or be appreciated simply for their beauty and craftsmanship. 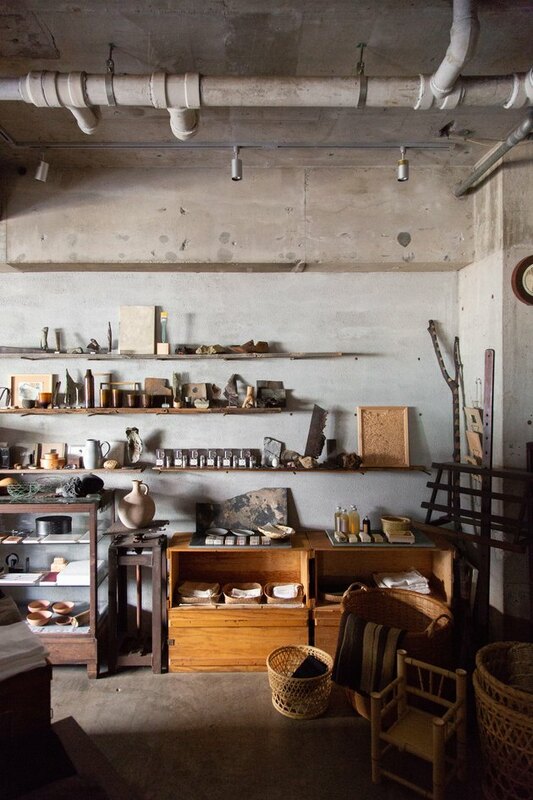 The store holds regular exhibitions, showcasing the work of a variety of creators — most recently a show of rugs from Gallery ONO, shoes by Forest Shoemaker, and wood vessels carved by Jiro Suda. 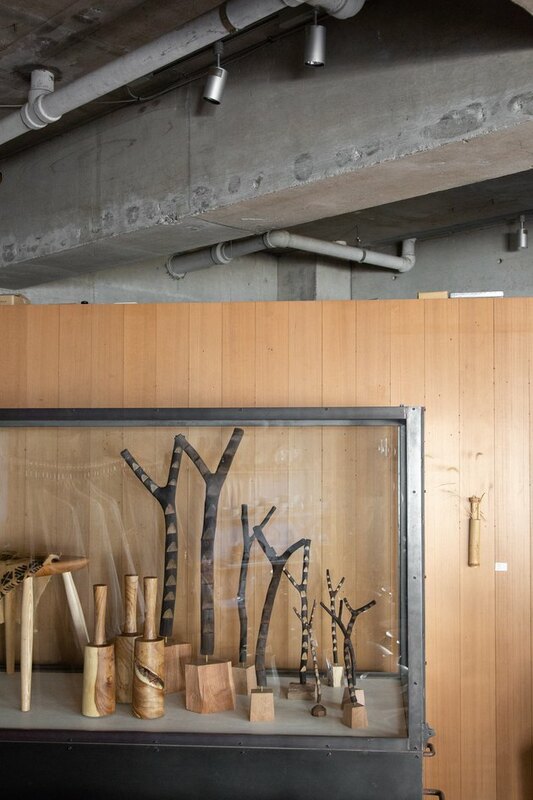 Kobayashi has also supplied his talents to Kyomachiya Hotel Shiki Juraku, where he chose the furnishings for the property's 10 wooden townhouses. 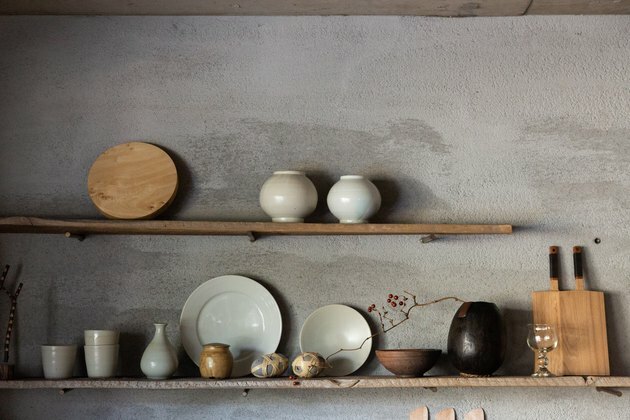 Minimalist ceramics and other home goods are displayed on simple wooden shelves. 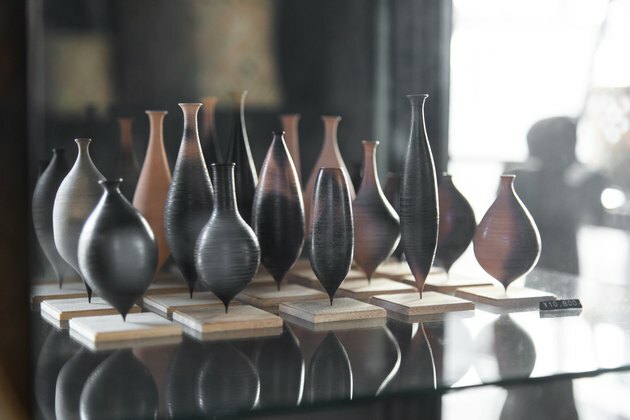 Delicate miniature vases mounted on wood bases seem to defy gravity. The sunny front window is Kobayashi's favorite spot in the store. "I like to view the contrast of shadows and highlights and their changes for a while in the afternoon light," he says. An array of eclectic objects, from a glass doorknob to a shard of pottery, decorate the counter. While the space is curated, it doesn't feel like a museum. Even delicate ceramics are placed out in the open, ready to be fully appreciated. 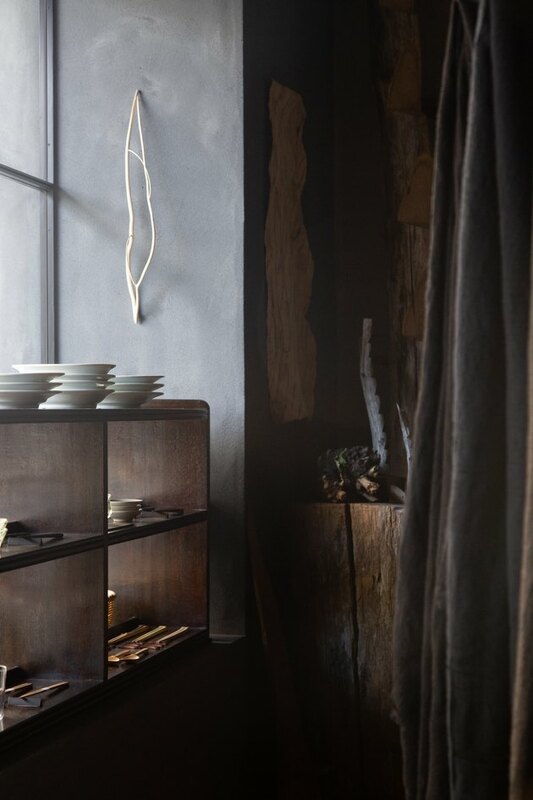 Many pieces capture the Japanese tradition of wabi-sabi, which celebrates beauty in imperfection. A ladder and hanging rod serve as a clothing rack in the center of the store. Outbound collaborated with Shirada on a collection of cashmere sweaters and also carries pieces by Mittan, which specializes in basics made of natural materials. Miniature Malian dogon ladders are showcased alongside other carved items in a glass-and-metal case. Outbound also sells letterpress tools by New Type Holder. 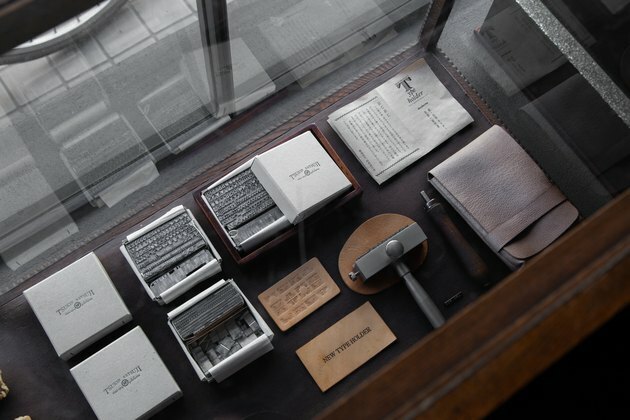 The presses can be used to emboss paper and leather. 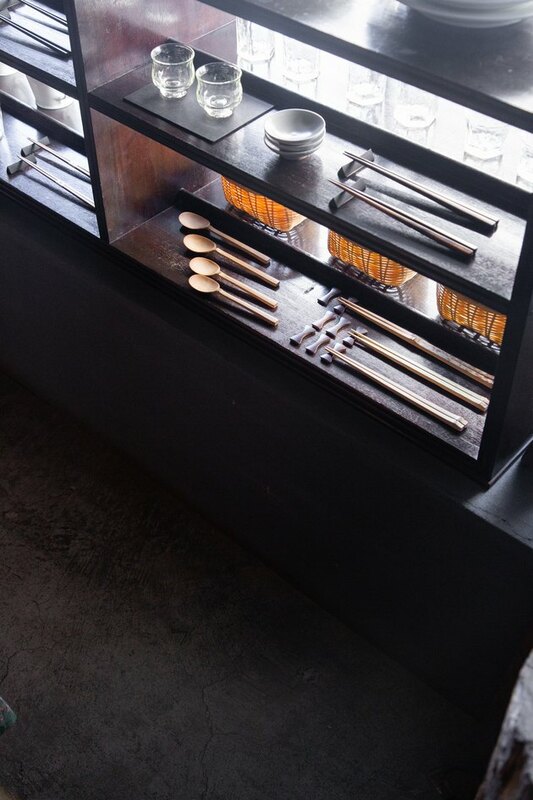 Beautifully made chopsticks and spoons are displayed in the front window. The dark-gray façade contrasts with the building and sidewalk's white tile. Niizeki used brass accents for the signage and door handle.